Psychologist, speaker and trainer Glenn Lim is passionate about empowering youth and releasing them into their full potential. 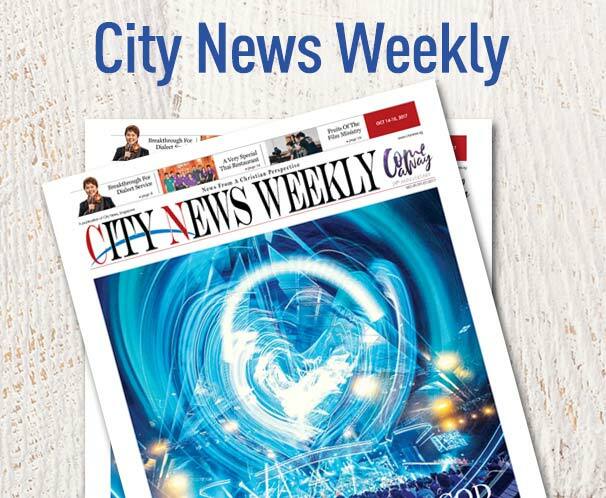 He shares with City News the secrets to making a difference to young people. It’s hard to imagine Glenn Lim as anything but the polished, polite, passionate gentleman he is today. But as he has told many audiences countless times, he grew up an angry and troubled youth who did time in prison for drug possession, until, faced with a possible death penalty, he repented wholeheartedly and has since lived his life for God. Glenn, 46, is a former youth pastor with Church Of Our Saviour—still his home church today—serving in the role for 10 years before he entered the marketplace and launched his speaking and training consultancy, Glenn Lim Consultancy (GLC). Today, he is a highly sought-after trainer engaged by corporations and institutions to conduct workshops for leaders, executives, educators and trainers. He is also a curriculum design specialist who creates training programmes. But his deep passion remains youth work. Glenn has received more accolades than there is space here to list, but among these are the Singapore Youth Award 2005, the Outstanding Young Singaporean Award 2006, the ASEAN Youth Award 2006, the distinguished Outstanding Young Person of the World Award 2007, and the Asian Challengers and Mentors ‘Most Inspiring Mentor’ Award 2008. He was also a Commonwealth Youth Ambassador (ASEAN) and Youth Ambassador (Republic of Singapore). He serves on many youth-related committees including the National Youth Mentoring Committee, the Scape Programming Committee, the National Youth Council and he works closely with government bodies like Ministry of Culture, Community and Youth (MCCY), Ministry of Social and Family Development (MSF) Ministry of Home Affairs, and the Ministry of Education. Last Friday (Jan 11, 2019), City Harvest Church’s Emerge team invited Glenn to speak to 442 of its youth and parents at its yearly Academic Excellence workshop. Emerge is CHC’s youth movement. He spoke candidly to the audience about his rebellious childhood days, the constant anger he felt, the difficulties he faced in class and his chronic truancy. However, he had a teacher, Mr Kumar, who didn’t write him off, but instead challenged him to consider the impact of his behaviour. Years later, Glenn would return to thank his teacher. Despite this, Glenn fell into bad company—he joined a gang because it gave him the significance he was so hungry for. One thing led to another: he started dealing drugs and was eventually caught and jailed. Faced with a potential death penalty, Glenn saw how he had made a mess of his life. He cried out to the God he had learned about in Sunday school as a child, and repented wholeheartedly, committing his life to the Lord. In prison, while awaiting sentencing, Glenn attended the prison chapel sessions, and responded to a salvation altar call. By the grace of God, he was sentenced to just six months in prison. During his time there, he made a concerted effort to study. He asked for books and a dictionary and began to create a habit of reading and understanding. When Glenn returned to society, he decided to go back to school. He took his GCE ‘O’ Level exams, which took considerable effort. Although his results were not perfect, he gained the momentum to keep going. Today, Glenn has Masters degrees in Psychology and Counselling, and is a certified Behavioural Psychologist. He is a strong advocate of lifelong learning. At the workshop, Glenn took the audience through three Biblical keys for academic success. First there is context, based on Luke 10:27. He introduced the 4 Hs Peak Performance Framework which forms the pillar of his training. These are “Head” (thinking), “Hands” (doing), “Heart” (feeling) and “Habits” (which take a month to form). Next, there is concentration (Prov 4:22; 2 Cor 10:5) : limiting distractions, particularly social media, bringing every thought captive to Christ, and creating a conducive atmosphere for focus is essential. And finally, consistency (1 Cor 9:24-27), which is crucial for sustainable success to happen—last minute cramming does not yield consistently good results. He ended his session with a powerful pledge that every youth in the room had to take, declaring their status as children of God, their anointing to excel as a student, their commitment to steward their time and resources, to submit their minds, bodies and spirit to the Lordship of Christ, and to make this year count for the glory of God. It was a powerful session that left the youth and parents inspired. Glenn also opened up three sessions for a limited number of youths who wanted to go further in their pursuit of excellence in their studies. City News caught up with Glenn for a chat. City News: At which point of your life did you decide to sow into the lives of young people? Glenn Lim: It was in prison. It was a recalibration of sorts of my spiritual compass. I dedicated my life to God and said I would give my life to serve Him. God placed me in prison for a reason: when I saw old friends in prison, it was like I saw them through a different lens, as if through Jesus’ eyes. I was no better than them, but I was filled with compassion and a burden. So I knew I wanted to help youth like me to have a sense of direction. Of course, there were a lot of self-doubts; “Who are you to even dare to pursue this noble vision?” But the calling was so strong, I started to become resourceful. I decided to do self-study inprison. I got myself to set clear goals for self-development. I was exposed to Christianity as a young boy. My dad brought me to Sunday school. But I walked out of church before I reached secondary school. That was the time I became increasingly dissatisfied in life. When I was arrested, I was a desperate man—I was faced with a life or death sentence. I had flashbacks of Sunday school. And I realized in an instant how far I had strayed. That night in the lockup, I cried out to God. I knew I was coming back to God then—so when the pastor at the prison chapel gave an altar call, I rushed up to the front. You coach corporates and also students. What are similar issues that all your audiences share? The 4H Peak Performance Framework that I taught at the seminar is what I teach my corporate audiences. The process is the same: first there must be a change in the mindset of the individual (head), then it must appeal to the heart—there must be a strong purpose, followed by the doing, and building a habit of it. I was a youth pastor from 1997 to 2007, and after that I shifted my client profile to adults. But now, I find that has brought me back full circle to youth, to preventive work. The question I ask is this: How can we upstream our work? Because the truth is, it’s very costly to rehabilitate an adult. So I go to schools and work with people when they are much younger. My key pursuit is to be part of an alliance that will champion mentoring as a movement in Singapore, that helps to build a mentoring culture. To go beyond the hardware and the skills. To care for one another. You’re involved in the upcoming National Mentoring Summit. Can you explain why you see mentoring as an essential component to a caring Singapore? In the corporate world, we do coaching. But when it comes to working with young people, there is a life-for-life exchange. In mentoring, there is a genuine interest in the well-being of the mentee. The youth mentor role offer coaching but also encompasses other elements. confidante, coach, counsellor and cheerleader—those are the multi-faceted roles of the mentor. The Summit is organized by the National Mentoring Alliance. It’s a ground-up initiative that involves the efforts of 11 social service agencies. The grand objective is to catalyze and foster a mentoring culture in Singapore. We want to see every youth empowered through mentoring. Mentoring isn’t a one-time, ad hoc thing. There has to be a mindset shift. Effective mentoring typically requires a minimum of six months to a year. There are different formats: there’s group mentoring and there’s one-to-one. Group mentoring is good because youth benefit from the dynamism of interaction. We work in small groups of four to five youths to one mentor. Alternatively, there can also be a team of mentors, with one mentor to two or three youths. What do you think young people in our society need? We need to challenge young people today. We need to show them we believe in them. We have to challenge and empower them to take ownership of their promises and tasks. I feel this is a generation that is different from the ones before. They don’t take well to downloading; they want to be able to upload. We are under-challenging them; we’re not releasing them nor empowering them. Better that we challenge them than the world challenges them and they take up that challenge, right? Yes, they will make mistakes, but that is part of the process. Is education today meeting the needs of this new generation? Education in Singapore is of very high quality. Education with a soul has been missing, but that has changed in the last decade. That’s what builds character beyond grades. There must be education that is relevant, and that’s also beginning to happen—we see courses with more marketplace-relatable, the whole notion of internships and field attachments. The human behavioural side of things is lacking. Motivation is lacking, so we see many under-performing students. The heart quality of education must improve. The pink collar worker must rise. There’s a trend towards pink collar work (work traditionally carried out by women, eg nursing, care-giving). Just because AI (artificial intelligence) and tech are coming to the forefront, it doesn’t mean this is a cold world. There is a rise in the high-touch careers that require empathy, care, soul. That is much-needed today. More and more schoolkids are being diagnosed with different disorders and learning difficulties. How would you help kids like them? There are efforts in the school system but we have a long way to go. The programming has to change. They need the one-on-one interaction with a caring adult. The well-being of a child is a predictable factor in the kind of adult he becomes. Every child needs one caring adult in his formative years. For me, it was my father and my teacher Mr Kumar. We are an over-labelled society. Children live up to the labels they are given. I did work with some Normal stream students, and I was challenging them and speaking to them like I did the Express stream kids. And one boy said to me, “Why you treat us like Express stream? We are Normal stream.” That’s the calling we’ve given them—they can only do the things that “Normal stream” kids do. We need a more inclusive approach, or we will never break the cycle of failure and poverty, and these kids spiral into self-pity. That label becomes an excuse. I had a friend in a wheelchair who grew up in Canada, and he came back to Singapore to live. He couldn’t find a place to stay—he tried to get into a nursing home that supported his needs, but getting approval was extremely difficult. He said to me, “I’ve never felt handicapped in my life, but in the six months I have been in Singapore, people really make me feel like a special needs person.” When it comes to inclusivity, we are in deficit mode. What can the church do to be the difference in these areas? Church must set the tone, but we face our own labels, like “ex-Christian”. Another label we must get rid of is “youth-at-risk”. (shakes his head) It makes me wonder if we, in the church, subconsciously ostracize the youth who don’t fit in. We must break the stigma. Your coaching is so powerful, but what can a parent do to make it “sink in” for his or her child? What tips do you have for parents who want to see change in their children? Ah. That parent is appealing to the logical head of his child, but he hasn’t touched the heart of his child. So that won’t work. I will share two inspirational approaches. One, Jason Wong, the founder of Dads For Life, says that if you implement rules without relationships, you’re just a lawgiver. Without relationship, you’ll never get them to do it on their own initiative. Either they’ll do it or they won’t do it at all. With a relationship, you can transact self-belief, values, inspiration and motivation. Two, sometimes, the family context is too familiar. They immediately fall back to their default perceptions. So introduce mentors. There is a concept called cross-parenting—a child may not listen to Daddy, but he will listen to Uncle. Build that community. Every youth needs to be plugged into an eco-system of caring adults. It takes a village to raise a child. If you met your primary school self today, what would you say to him? Two, I would say, “Believe in yourself.” I felt the world didn’t believe in me; nobody believed in me. There is a verse I have gone back to throughout my life, and that is Genesis 50:20, “[Y]ou meant evil against me; but God meant it for good.” It summarizes the redemptive power of God. God always turns it around. Click for more information on the National Mentoring Alliance.